RC Parts CW CCW Motor Remote Control Toy for Syma RC Quadcopter Accessory #1 by uptogethertek at Open Drone. Hurry! Limited time offer. Offer valid only while supplies last. Cw motor & ccw motor for syma rc quadcopter fit for syma x5sw s5sc x5hw x5hc x5uw x5uc rc quadcopter fashionable and stylish good gift to children. 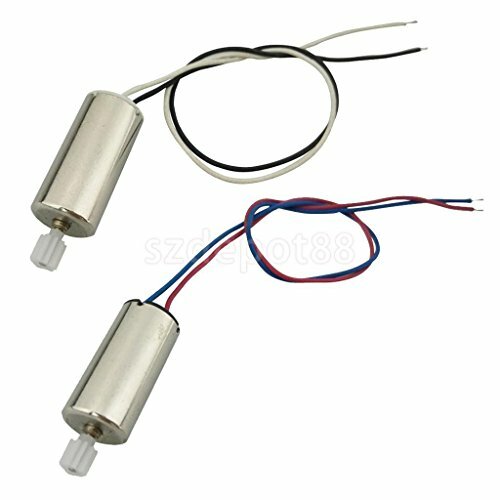 Designed to repair and replace old or broken motor set material: size chart: size( d x l): approx. 8 x 16 mm(0. 31 x 0. 63 inch).